Paul Crandall & Associates Inc - Commercial Roofing - Paul Crandall & Associates Inc.
​from new construction, to re-roof and roof repair. Learn more about our services and materials below. 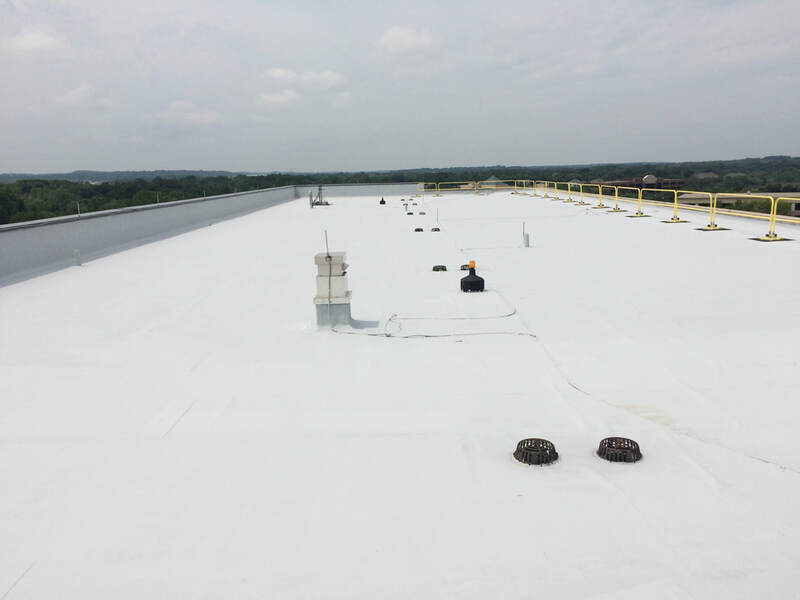 When considering a new roof, a re-roof, or roof repair for your business, it's important to consider the extra safety measures and care required for retail, office, and industrial buildings. Not having proper coverage can mean disaster - from loss of inventory and expensive property damage, to unhappy customers and employees. Our trained professionals make sure your business is properly protected by ensuring the building materials used can handle the unique day-to-day operations of your business. We'll work with you to make sure your business has a roof with an extended life, requires little maintenance, and stays in your budget. At Paul Crandall & Associates, we know the safety of your students, faculty, and visitors always comes first. ​In addition, many schools and educational facilities have busy schedules that don't allow for extended periods of downtime for repairs and construction. We'll work with your tight schedule to make sure you have a professional A+ roof in safety and cleanliness, with little disruption. Whether your business is a hotel, hospital, or multi-housing complex, guests and residence should feel safe and at home. We work hard to keep a low profile and create as little disturbance as possible, letting both you and your guests rest easy. When caring for guests, you can't afford the risk of leaks or improper roof structure and construction. Our team is trained on installing roofs that meet your properties complex needs, and that will look aesthetically pleasing both on the ground and from above. ​We'll make sure the durability and safety of your roof is never sacrificed when accommodating the multiple roof penetrations needed to provide proper ventilation systems for multiple units. ​Paul Crandall & Associates Inc. offers full-service commercial roofing solutions. With over 30 years of experience, our team is trained to complete both big and small jobs effectively. Take a look at some of our popular selections below. Modified roof assemblies have been utilized for over 60 years, while built up roof assemblies (such as tau and gravel), have been utilized in the roofing Industry for over 150 years. Our team is trained on each manufacturers specific specifications, to ensure both proper installation and long-term performance. Both modified roof and built up roof assemblies offer great aesthetics for all business types and can perform for periods of 25-40 years. Visit the Gallery to see more. Single-ply roof assemblies have been utilized in the roofing industry for over 40 years. These types of roof assemblies are popular with design / build architects, as they are typically more cost-effective in the construction of new buildings. These systems are also popular with commercial property owners for refit applications and restoration work, because they offer a good price-point. With proper installation a single-ply roof can typically perform for 15 - 30 years. Metal roof systems have been used for over 2000 years, and its track record speaks for itself. The application of metal roof systems on commercial buildings has gained in popularity over the past 25 years as architects and designers have been challenged to create more interesting appearances on commercial properties. These types of roof assemblies, when applied in accordance with the manufacture's specifications, typically can perform 30 - 70 years. ​Visit the Gallery to see more.